These are the Disney, Marvel and Lucasfilm movies hitting the big screen in 2019. 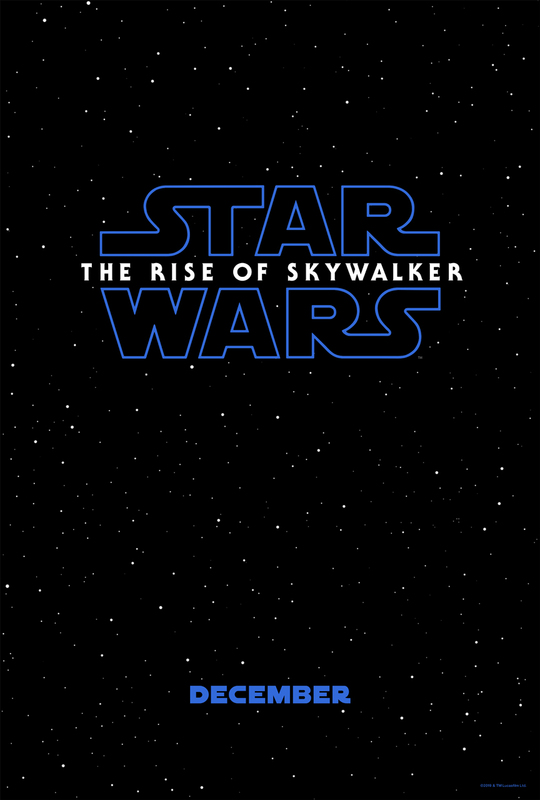 The force is strong across the internet: Along with the reveal of the title, the first teaser trailer for Star Wars: The Rise of Skywalker was dropped during the Star Wars Celebration in Chicago on Friday. "We've passed on all we know," Luke Skywalker says in the teaser, as Rey is shown. "A thousand generations live in you now. But this is your fight." As Princess Leia is shown, he goes on to say, "We'll always be with you. No one's ever really gone." The trailer ends with eerie laughter that sounds like it belongs to the nefarious Senator Palpatine. Episode IX will see the return of Rey (Daisy Ridley), Kylo Ren (Adam Driver), Finn (John Boyega), Maz Kanata (Lupita Nyong'o), Rose Tico (Kelly Marie Tran) and many more fan favorites. Among the characters set to make an appearance from the original Star Wars trilogy are Luke Skywalker (Mark Hamill), Lando Calrissian (Billy Dee Williams) and Anthony Daniels (C3PO). Richard E. Grant, who was nominated for an Oscar this year for his role in Can You Ever Forgive Me?, has announced that he will be playing a yet-to-be-announced character in the new film. Keri Russell also joins the cast. Like the trilogy's beginning, Star Wars Episode VII: The Force Awakens, this film will be directed by J.J. Abrams. Abrams previously announced that he would be using footage of late actress Carrie Fisher to finish up Princess Leia's story, but he promised it would be done in a way that honors her memory. As with other 2019 Disney movies, it will later be available for streaming on Disney+. The streaming service will also be debuting new series from the Star Wars franchise, including its first scripted live-action series, The Mandalorian. Star Wars: Episode IX hits theaters in the United States Dec. 20, 2019.